A great book cover design, at its most basic level, is something that will help readers take you and your book seriously. Online retailers like Amazon do not distinguish between traditional and self-published books — which means independent authors are often competing again Big 5 publishers. If your book stands a chance at succeeding, its design has to match or, if possible, exceed what the major companies are putting out. 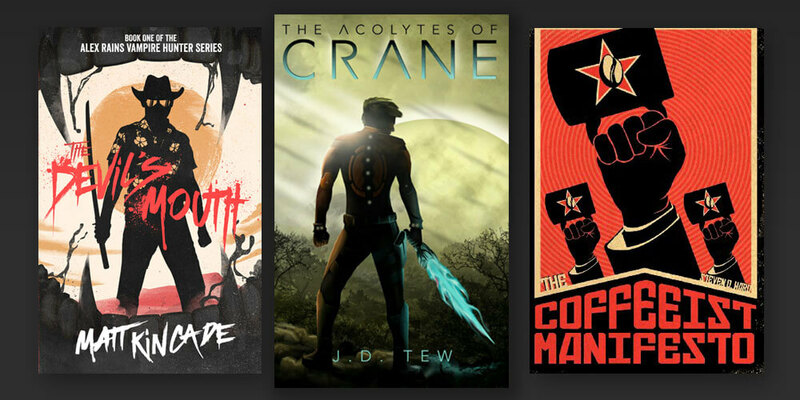 In this post, we will look at how you can design a book cover by yourself. We’ll then look at why you should consider professional cover design before revealing how you can find and collaborate with your ideal designer. Book cover design is a complex balance of images, text, and information — and you need someone who understands how each of these elements interacts with the others to best sell your book. If you want to find out more about the benefits of hiring a professional designer, click here to skip the next section. But if you do decide to make your own cover, here are 7 steps that you’ll want to follow. 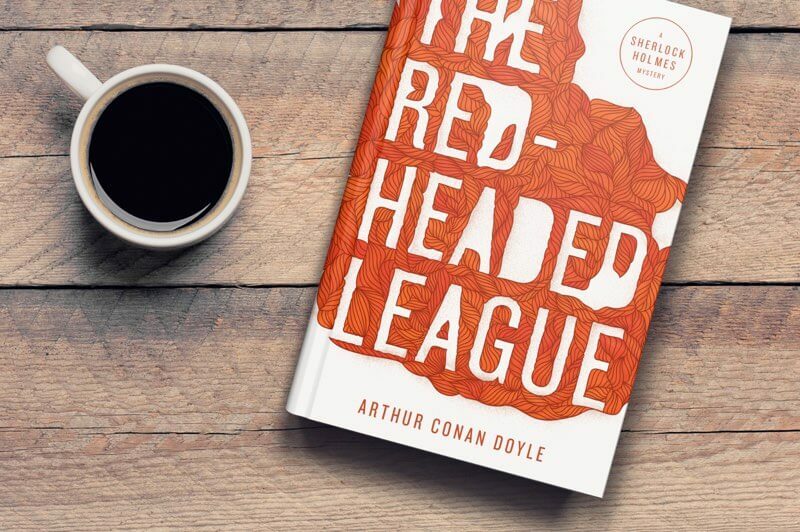 Apart from your ability to execute a design, the most important aspect of book covers is their ability to connect with the target market: that is, the people who are likely to buy the kind of title you’re writing. Therefore, your first stop for inspiration should always be the other books in your genre. Take a look at the bestselling titles in your category and you’ll likely see visual styles and motifs popping up again and again. This is no coincidence. Publishers are always looking to communicate to their target market that this book is the one you’re looking for. And if that means taking a cue from the genre’s most popular books, then that’s what they’ll do. Of course, within the constraints of a genre’s current visual style, there are plenty of opportunities to play with interesting ideas, striking imagery, and inventive typography. For more ideas, check out these 68 book cover ideas and this gallery of recent book cover art by Reedsy professionals. Basically, any graphical software can be used to design a cover. Some programs are suitable for non-professionals, but those, like Canva are incredibly easy to use — and can produce some smart-looking covers. They are, however, somewhat limited by the number of templates they have in any given genre. Anyone can gain access to professional tools like InDesign and Photoshop (which both offer free trials) that have a much steeper learning curve: a lot of people know how to use Photoshop, but not well. 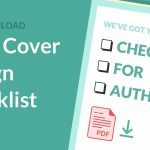 If you want to know more, check out this list of popular tools to design your own book cover. You’d be surprised how many authors take images from Google searches without paying for them. This is illegal, and likely to land you with a letter from the rights holder asking for damages. Unless you’re looking to use your own photography or illustrations, head to a free stock image library like Pixabay or Unsplash— which have thousands of images that you can use without attribution. Or, for a significantly wider choice of images, try one of the large libraries like Shutterstock: depending on what graphics you’re after, the license fee may only be a few dollars. If you’re only creating an ebook, this is really easy: Amazon suggests an ideal size of 2,560 x 1,600 pixels — although you have some freedom to play around with different aspect ratio. Other retailers and distributors have similar recommended sizes, so if you hit this Amazon ideal, you’ll be safe. However, for printed books, things get much more complex. You should take into account standard book sizes within your genre, then factor in the page count and paper density so that you know exactly how thick the spine needs to be. And then there’s the matter of typesetting the back cover — which is an art to itself. Ultimately, if your intention is to sell printed versions of your book, you should strongly consider hiring a professional cover designer. There are too many variables at play for an amateur to have a chance at creating something credible. Sign up for this free 10-part course! 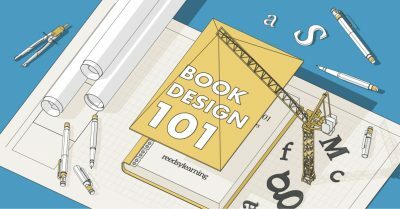 Enter your email and select 'Design - Book Design 101' in the drop-down menu. See how text is handled on popular covers in your genre. Is the font serif or sans serif? How ‘heavy’ is the text? Find some variety. Avoid using the same typeface for the title, author name, and tagline — but don’t go crazy and use more than 2 or 3 fonts. Avoid fonts with a lot of ‘baggage.’ Don’t use Papyrus or Comic Sans or any other typeface that has its own meme. Keep your name relatively small. Unless you are really famous, the author name should not be larger than the title. Give the reader some credit. Don’t feel the need to include “written by” or “a novel by” — readers can figure that out for themselves. Keep it simple. One of the most common amateur design mistakes is to make the cover far too busy. Coco Chanel once said, “before you leave the house, look in the mirror and take at least one thing off.” This advice is something that more DIY designers can learn from: always see what it would look like with one less color or composited image. To learn more about typography and book design, check out our monthly Cover Critiques on Reedsy Live. The best design in the world won’t matter if you can’t actually deliver your cover in the correct format. For an ebook, you’ll simply need to export your front cover as a good old-fashioned JPEG. If you’re using a POD (Print on Demand) company to sell print copies, you will have to closely follow their individual requirements — which will usually involve producing a PDF of the front, spine, and back cover that has the right resolution and uses the correct color system. Top Tip: As we mentioned earlier, the back cover of a book is an art unto itself. If you're looking for advice in that regard, visit this post to find out more about creating a back cover that sells. If you’re torn between two cover designs, why not test them with your target audience? Use Facebook advertising run an A/B test — where you get two sets of people from the same audience and expose them to an ad. One audience sees an ad with your ‘A’ cover, and the other sees one with your ‘B’ cover. The ad that gets more clicks is the winner! And there we have it: that’s how you do it. 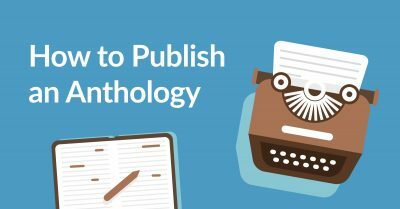 So, if you’re an author looking to create a book cover, should you just follow these six steps? Well, not if you can help it. 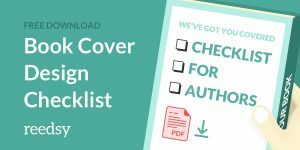 In this next section, we’ll be looking closely at working with professional cover designers, and why it should be high on every author’s priority list. A professional designer brings more than just Photoshop skills to the table. 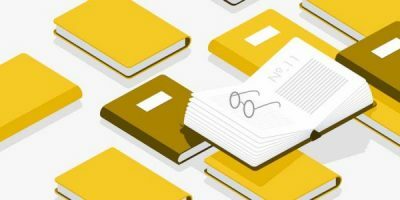 Book cover design is a complex balance of images, text, and information — and you need someone who understands how each of these elements interacts with the others to best sell your book. A designer who specializes in book jackets understands how readers respond to layout and typography. They understand the current trends and can see how your cover will compete in the market. Most importantly, they will know how to communicate the right message with your cover. Your cover is also a book marketing tool. That means that you should be able to quantify its value in a dollars-and-cents way. To show you how a professional cover can change your book’s fortunes, we’ll look at a real-life case study. Looking for a professional cover designer you can trust? 300+ of the best designers are on Reedsy. Sign up to meet them within seconds! 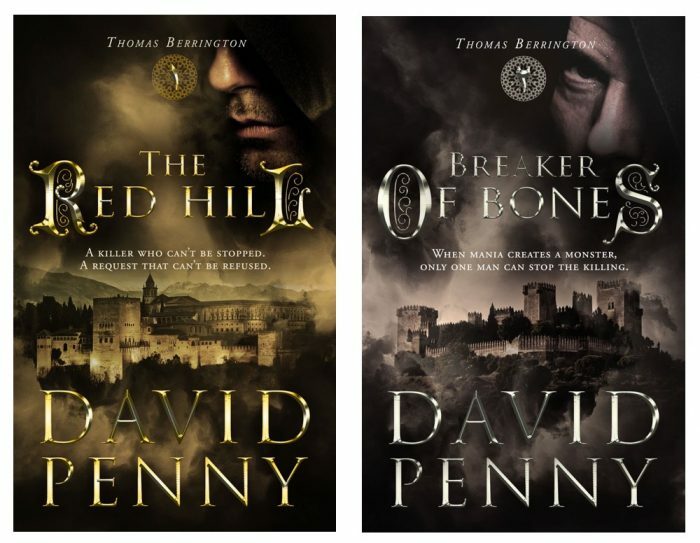 David Penny is the author of the Thomas Berrington books, a series of historical mysteries set in 15th-century Spain. After publishing the first two books, David made the tough decision to rebrand his novels and commission new covers. 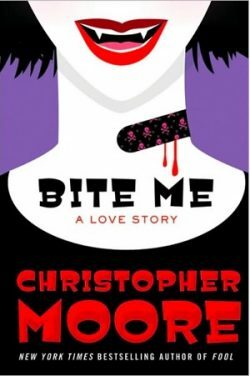 Indeed, a cover has to effectively communicate what the book is — its genre, style, and content. If your jacket is misleading, promising a Da Vinci Code type page-turner but delivering something else, you will only attract (and disappoint) the wrong type of readers. 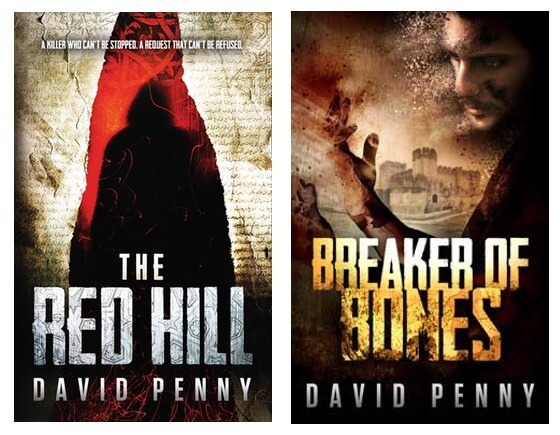 When it came time to rebrand his historical mysteries The Red Hill and Breaker of Bones, David Penny took a more hands-off role in the process. David Penny tracked the efficacy of his new covers by comparing how his Facebook ads performed before and after the redesign. David found that while many Facebook users were clicking on his adverts, few of them ended up buying his book. Based on this result, he had a theory that his ads had a message and image (the book cover) that didn’t reflect the book being sold when people clicked through. 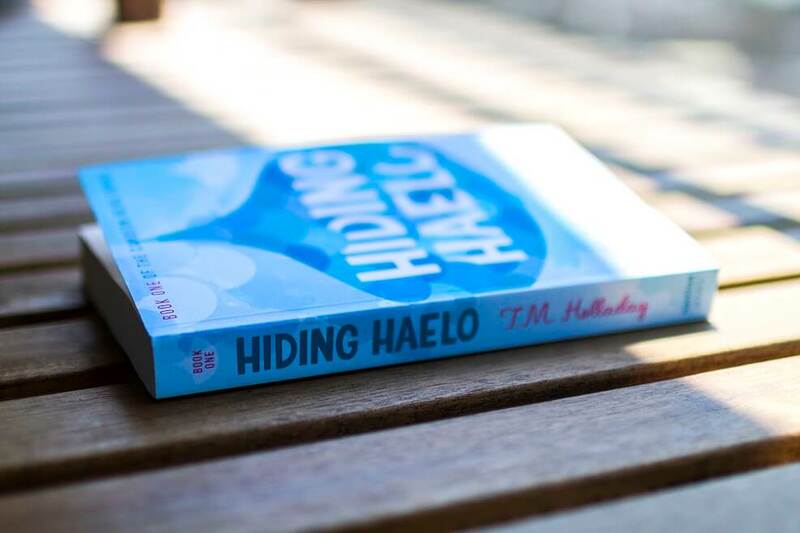 “Since changing the covers – but also soon after adding a third book to the series – I have made little changes to my advertising but suddenly, from June 2016, I started making significant sales. In June 2016 I had my first £1,000 income month. In September I had my first £2,000 month and at present, I am predicting income of slightly over £3,000 for January 2017. Now that we know exactly what an effective cover can do, let’s look at how authors can go about giving their books the professional design they deserve. And for that, we need to search for designers with the right experience. There are plenty of places on the internet where you can find designers advertising their services. Some of them will be legitimate freelancers with years of great experience, but a vast majority of them will not be. With that in mind, your first priority is to seek out designers with a great portfolio and a track record of creating great covers within your genre. We mention genre for a reason. You want a designer who’s well versed in the tropes and trends employed by books similar to yours. At Reedsy, we vet all our freelancers to ensure their experience and high work quality and have made it easy for authors to search for them by genre. However you choose to look for designers, it’s advisable to create a shortlist of candidates. Good designers will often be booked up for weeks, if not months. Once you’ve narrowed down your candidates, it’s time to start thinking about your brief. A well-written brief will pay dividends. Not only can it help you secure your designer of choice, but it lays the ground for a smoother collaboration and will often result in a lower quote. A good brief doesn’t just describe the book in stunning detail; it’s also your first (and often only) chance to pitch yourself as a collaborator. “I worked in advertising for 18 years so I can smell it in the air when I know I’m heading into a mire of endless demands,” says illustrator and designer Chuck Regan. “I know who’s going to get the blame when their book does not sell because of a cover they didn’t like. If the designer starts to think they might not enjoy working on your project, they can either decline your proposal or quote a higher price than they otherwise would. So don't just knock out your brief in 20 minutes — put some time into it. Top Tip: Avoid the urge to be prescriptive in your brief. You can show designers other book covers for inspiration, but allow them to make the creative decisions. After all, that’s what you’re paying them for. Even though authors won’t need to know exactly how the book jacket "sausage" is made, it's best to understand the cover design process. 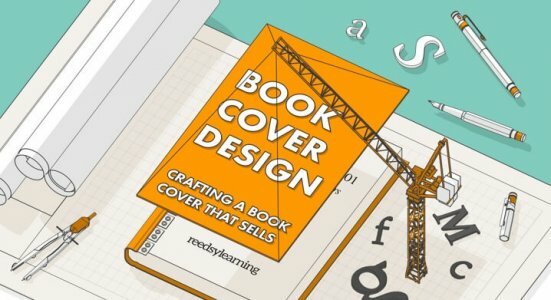 In this section, we’ll look at the three basic techniques used by cover designers and discover how much Reedsy’s designers will charge for each. This is almost always the most cost-effective way to design a cover, as it doesn’t require your designer to create images from scratch. A quick look through your local bookstore will reveal this to be the most common technique used in modern book design. Professional designers have access to (literally) millions of photos, graphics and illustrations through image libraries like Shutterstock and iStock, as well as more niche image archives. They can license these images, digitally manipulate them, and often combine them with other images to create a unique design. The designer will then lay over the title, author name and any other text to finalize your cover. 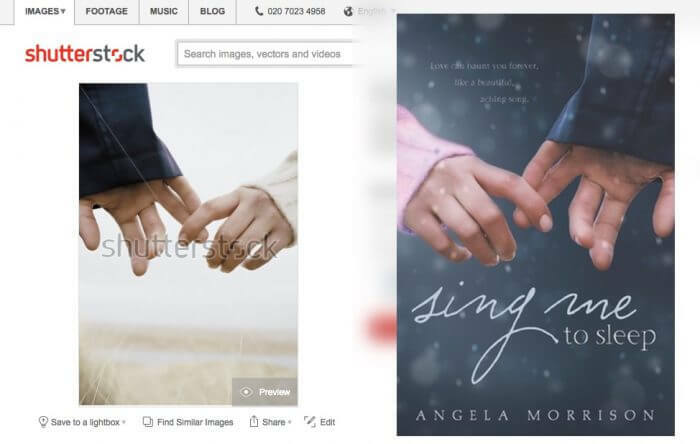 In the example above, the designer of Angela Morrison’s Sing Me to Sleep has used a licensed stock image from Shutterstock and ‘manipulated’ it. The woman’s sleeve has been recolored and ‘atmosphere’ has been added in the form of digital snowflakes. If your designer takes this approach, you should first find out who will pay the image license — the fee paid to the copyright holder for its commercial use. In most cases, the licenses will be paid for by the client in addition to the designer’s base quote. “There are a lot of libraries out there and their prices can range from $1 per image to $15 and up,” says designer Jake Clark. “Personally, I stick to the lower end of that range to make my services more affordable. There are occasions where I have specifically sought out certain photos that cost more. I usually know that going in and let my client know and adjust my quote accordingly." In exceptional cases, image licenses can add up to $150. If you wish to use less expensive imagery, simply tell your designer upfront. Top Tip: When briefing designers on Reedsy, you can choose to only use ‘Royalty Free’ images, for which you won’t need to pay a license. Bear in mind that this will limit your designer’s choices. Covers created with manipulated stock images will almost always result in the lowest quotes from Reedsy designers. Working with a 'rockstar' designer might seem like a lot of money, but where else can you hire the best in any business for just two-to-three times the cost of a relative newbie? Imagine if Paul McCartney only charged twice as much as a Beatles tribute act to play your birthday party. Did you know that illustrations can also be obtained through image libraries? When designers create an illustration-style cover, they often base their designs on stock illustrations. But if your book calls for something a bit more specific, your designer will likely spend more time on the project and charge accordingly. Cover design and illustration are, for the most part, different disciplines. Some of the most amazing illustrators on Reedsy have little experience with typography and formatting, while the vast majority of designers do not profess to be skilled illustrators at all. 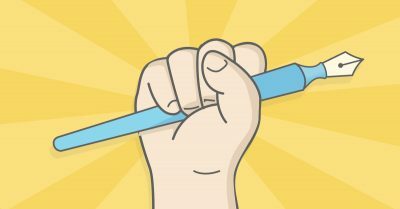 If their prospective clients require an illustration, many designers will either reject the project or tell you that they’re outsourcing that part of the work to another freelancer. If you ask your designer for a complex illustration (like the ones on Scholastic's original Harry Potter covers), you can reasonably expect your budget to double — which will account for either the extra workload or the cost of commissioning a freelancer. Top Tip: Hire an illustrator to create a cover image first. 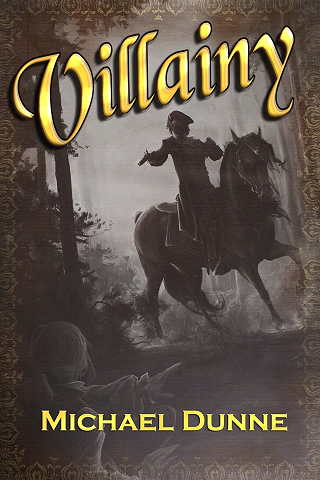 Once that’s done, you can work with a specialized cover designer to create your layout and arrange the text. This will often result in a lower overall cost and a better outcome. Plenty of fiction and non-fiction books use original photography for the book cover design. Romance novels and memoirs both spring to mind. However, organizing a photo shoot is no small feat. "A pricey photoshoot is the LAST thing #selfpub authors should consider for their book cover design"
Even with this lower-end estimate, professional photography can increase your cover costs by three to four times. But depending on your needs — and how guerilla your designer is — this amount could be less. As a general rule of thumb, a photo shoot should be the last thing on your mind if you’re trying to manage a reasonable budget. Top Tip: The majority of books published by the Big Five will use pre-existing, licensed images — whether photographs or illustrations. It’s simply the easiest and most cost-effective way to create a cover. Most designers will recommend this approach, unless there’s an unavoidable need for bespoke images. Let us know your thoughts and questions about book cover design in the comments below. 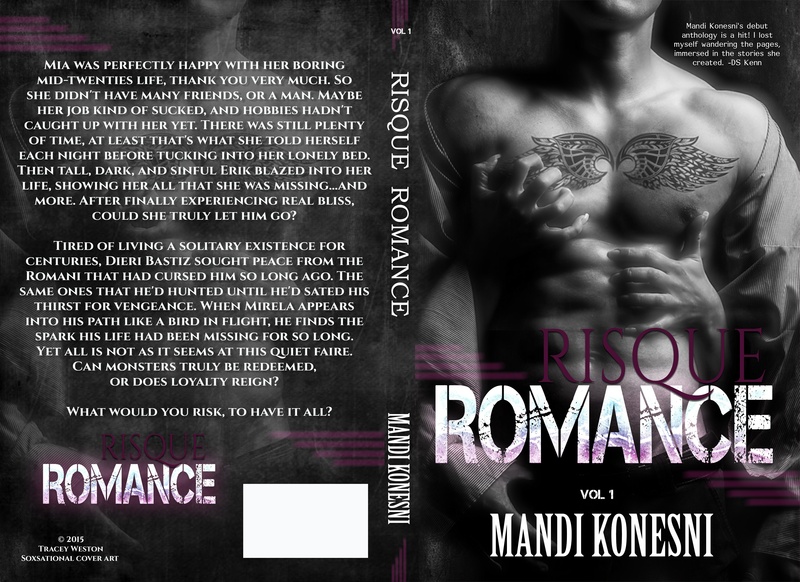 I used a Reedsy designer for my book cover and I was overwhelmingly satisfied with the results! I'm on a strict budget because this is my first self-published book. I was completely happy to pay around $500 for a cover that not only made me happy but has already created buzz among my Facebook followers before it's release date (2/28)! I will be using Reedsy again for collaborations in the future for sure! That's fantastic, Krystal! We're always delighted to hear back from happy authors 🙂 Best of luck with your big release! Did it help to your sales? The main question. I'd agree with you to a certain extent, Michael. That is a really lovely illustration — and on its own, I think it captures a strong atmosphere. However, designers would likely argue that the typography and layout would be a lot stronger if handled by a professional. Their particular set of skills (to paraphrase Liam Neeson) is to create covers that will allow your book to compete alongside similar titles released by large publishers. Thanks, Ruthie. I think it's my most commercial so far. This is way less expensive than what's discussed in this article. How did you manage that? Who was your cover designer? And the cover won the prizes you mention, or the book itself? 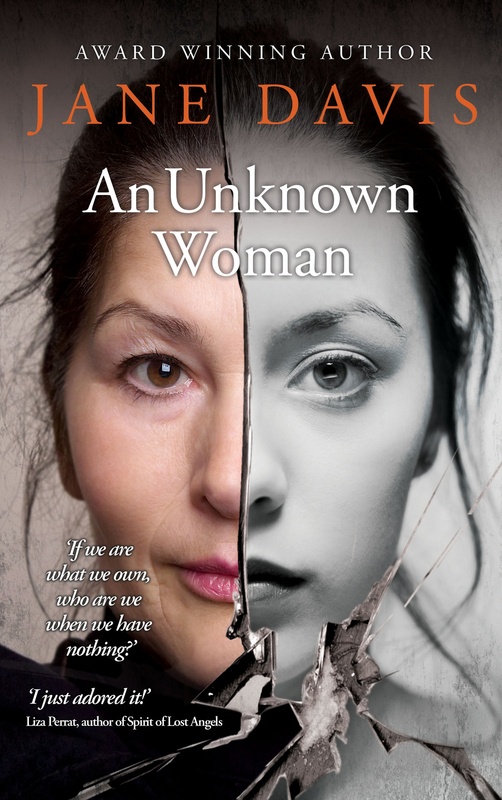 The cover has won two separate awards, and the book itself won Writing Magazine's Self-Published Book of the Year Award, which took every aspect of the book's production ( quality of writing, edit, proofread, typesetting, cover, etc.) My designer was Andrew Candy of Tentacle Design, which is based at Mine Art Gallery, Carshalton. Surrey, UK. I always come up with the concept and source the photos (obviously cuts down on time/ expense) and he charges a straight hourly rate, plus the photo licences. He mainly designs covers for academic books so he likes to go to town with fiction. I am not sure that he would be good for writers who don't have a clear idea of how they want their books to look. I have also used Jessica Bell for one cover and use her for all of my social media ads - her rates are also very reasonable. Your cover helps you in sales? "Royalty free" does not mean "free". In most instances, you will still have to license the image. I'd never pay $300 and up for a cover. For indie authors that are self-publishing, that's an exorbitant amount that could be better spent elsewhere. Of course, that's just my opinion. My cover was $90, including print wrap and marketing photos, and it's the first thing many people comment on. I'm happy with my purchase, and will be going to the same cover artist for any future work. Good article. Thanks. Please tell your writers/proofreaders to correct any instances of "hone in on" to "home in on" in future articles. Actually, the cover in your first case study that would have most gotten me to click through was the original cover of the second book (Breaker of Bones). The new covers I find rather bland, and don't spark my curiosity the same way. And I like Historical Mysteries. But I'm willing to admit I'm an odd duck who finds *most* covers these days bland and uninteresting. It's tricky isn't it? I agree with you that I find the original Breaker of Bones cover to be the most eye-catching of the four. But, it does scream "thriller" at me and I would not necessarily expect a historical mystery (based on the font in particular). The redesigned covers work better (I think) for the chosen genre, even though I don't find them quite as visually appealing. Ha! I loved the Paul McCartney analogy. So true! If you're going to invest in a designer, in the long run, it probably makes sense to hire the best. After all, books are most certainly judged by their covers. What do you think of hiring a Fiver for cover art? Then, when the crowd-sourced funding gains some traction, switching over to a more costly designer? Hi guys! I am a freelance book cover designer. I specialize in romance and sci-fi book covers. I keep getting an error message when I try to go to your portfolio. Thank you for a great post that I read through with gusto. There are definitely good recommendations here and information worth far more than money can buy. As an Indie author and a graphic artist, I am very reluctant to allow another to make my cover scheme for me. To avoid costs I try to reinvent the covers regularly. If there was one easy formula to create the most impacting cover I would definitely use it. One of the earliest covers I created possibly was the reason why 32,000 of that title were downloaded in 2011. However, I changed the cover to improve performance, and it did not work. It is a puzzle worth pursuing. I shall not stop trying to give my 'potential' readers a better experience. Thank you for the wonderful article. I would like to have Reedsy designers for my four e-books A Flower from Kigali Garden, ISBN 9781386403739,https://www.draft2digital.com/book/293880, Claudine Rebero and George Mugohe, ISBN 9781386017769, https://www.draft2digital.com/book/294129, Vanessa Kanombe's Husband's Dream, ISBN 9781386706281,https://www.draft2digital.com/book/293909 and The Love Lives of Marine Sugi, ISBN 9781386178910, https://www.draft2digital.com/book/293911. I believe in God and I believe in you and me! Expensive covers pay. As someone who has been dealing with the use of stock images for years, telling people to use pixabay is a bad idea. A lot of images on pixabay are posted by users who have stolen their images from other photographers. That is not a good site for legitimate stock. I’d hate for someone to find out the hard way later on which happened to one of my friends. Otherwise this article is very helpful. I’ve learned quite a bit. Thanks!